One of the things I love about working with Cloud is the various ways you can fit together different services to perform complex business functions in a relatively straight-forward manner. In the diagram above, files are uploaded to S3 through another business process. The S3 bucket is configured with bucket notifications which in turn, triggers a Lambda function. The Lambda function triggers an SSM document which runs on each of the servers in the autoscale group. This SSM document is essentially a simple Bash script to perform a one-way synchronisation of the S3 bucket in question to a local directory. This Rube Goldberg machine of AWS services seems complex, but it’s surprisingly simple and fast. In for our testing, files even up to a couple of MB in size were on all servers in close to a second. 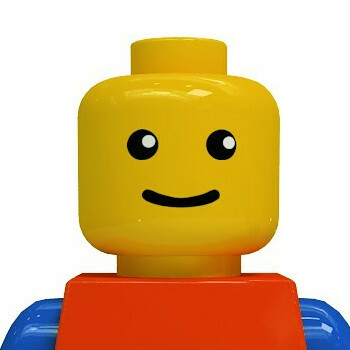 I’m now working with a customer in the manufacturing industry who is moving a legacy application to AWS. Their application makes use of a smart-ftp solution that allows business processes to be initiated by upload events to FTP. For various reasons this smart-ftp solution won’t be moving to AWS along with the rest of their application. Fortunately, the S3 Rube Goldberg machine mentioned earlier is a great fit as they can swap out FTP in favour of S3. The process this time around will be slightly different. Instead of distributing the files out to a group of servers, the final SSM document will be a Bash script which begins execution of an internal business process. The catch is, it won’t be triggered by every upload to S3. The internal business process can only begin once a file of a particular name is uploaded which signals a complete batch of files is uploaded and ready for processing. 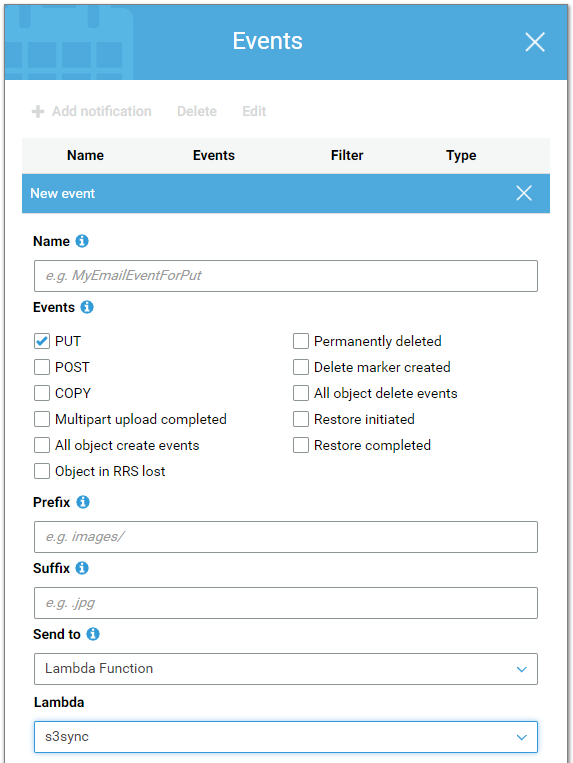 S3 events supports prefixes and suffixes, allowing the notification to only trigger once this file is uploaded. What previously would have been a single machine running 24/7 (and prone to failure) is now a serverless, reliable mechanism that will run at a fraction of the cost. If you’re interested in implementing a similar solution yourself, keep reading to see how I implemented this originally. Ordinarily, I’d deploy this all through Cloudformation or Terraform, but for the sake of being able to follow along, we’ll do this all through the console. To begin, we need to go ahead and create our Lambda Function and an associated IAM policy. Firstly, go to the Lambda console and create a new Lambda function. Select Author From Scratch. Give the function a name such as s3sync and select Node.js 8.10 as the runtime. Select Create a new role with basic Lambda permissions. We’ll go back and modify the permission later to give us the extra permissions we’ll need for executing SSM documents. Click Attach policy and look for the AmazonSSMAutomationRole. Replace the region us-east-1 and the account number 111111111111 with your region and account number. The policy should be tightened up for security purposes, but for our testing, this will be sufficient. Click Review and save changes. Next, we’ll create our SSM Document. Head over to the EC2 console and scroll down the left-hand panel to find Documents under Systems Manager Shared Resources. "description": "The S3 Bucket to sync"
"aws s3 sync $S3_ENDPOINT "
Next, we need an S3 Bucket. Name your bucket anything you like, as long as it’s unique. Then open the empty bucket and click on the Properties tab then find the events option and click on it. Click Add notification and name it s3sync. You will notice we have the ability to select a number of event types which is what gives this process a lot of flexibility when it comes to automating business processes through S3. For now though, select PUT. Scroll down to Send to and select the Lambda function we created earlier then click Save. Now, the only thing left to do is launch our EC2 resources and tag them appropriately. In the Lambda function above we’ve hardcoded the tags to be Name=s3sync, Value=true. Go ahead and launch a linux instance with that tag. You’ll need to ensure that the IAM role associated with your EC2 instances gives the appropriate permission to associate it with SSM and access the S3 bucket we’re working with. The inbuilt policies AmazonEC2RoleforSSM and AmazonS3ReadOnlyAccess should be sufficient for now. Once you have some instances launched, upload a file to the S3 bucket then head over to the Lambda console and check the monitoring tab of your function. You should see the invocation count go up and hopefully, the Error count and Success Rate (%) show successes (and no errors). You may need to wait a few minutes for the monitoring graphs to update. Then you can head over to the EC2 console and go to Run Command under Systems Manager Services. You should now see your document s3sync has run and hopefully completed successfully. If that’s the case, logging on to the server you launched earlier and checking the /home/s3sync directory will show the file you uploaded to S3. If so, congratulations! 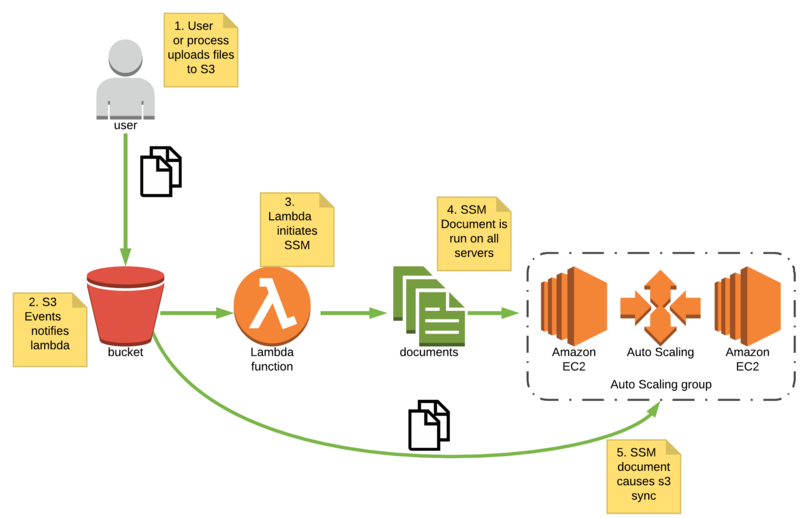 You’ve successfully deployed a fully automated S3/Lambda/SSM solution for keeping your S3 bucket in sync. As I mentioned earlier, this is just a concept of what S3 events could be used for. In my case, this will be modified and adopted to replace a legacy business process. Originally from Sydney Australia, Andrew Coggins is a Solutions Architect at Rackspace, now based in Amsterdam, The Netherlands. He's worked with AWS as a Cloud Computing platform since 2011 and currently holds all 5 of the Associate and Professional AWS Certifications.